SPACE for Gosforth is privileged to have permission from Archibald First School to publish an e-mail recently sent to parents. 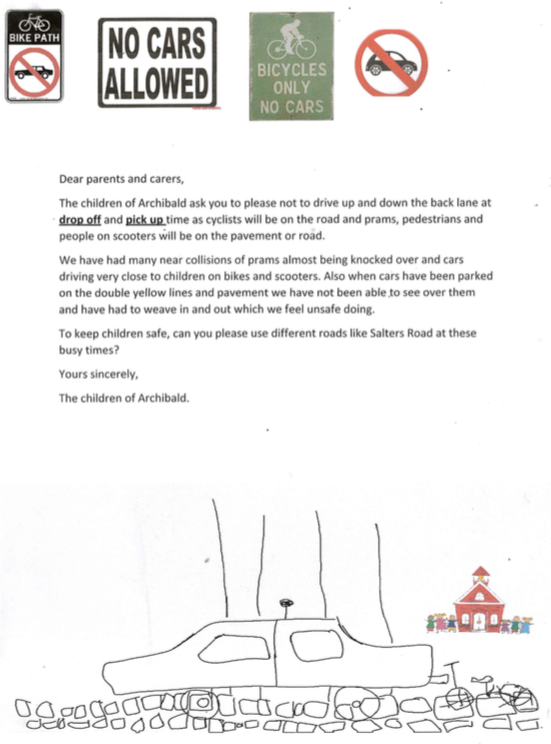 Children at Archibald First School asked the school to e-mail parents about their experience of travelling to school. Their school supported them, but the letter is the children’s own work and not something created as part of their lessons. These are those children’s words. This entry was posted in Children, Cycling, Safety, Walking on March 21, 2016 by SPACE for Gosforth.